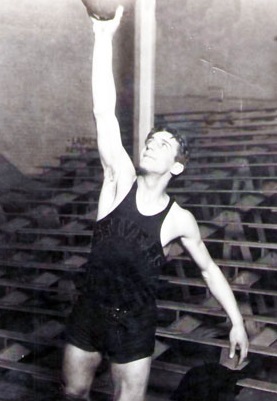 Max Padlow played varsity basketball and football at Ohio State. He played professional football the Philadelphia Eagles in the National Football League in 1935 and 1936. The same two years he also played professional basketball in the Midwest Basketball Conference. Mordko Podlosker Born: Aug 15, 1912 Died: Aug 17, 1971 Hometown: Dayton, Oh.